Don't worry, this is not another of those aquarium simulation apps site! Fish Tank Lab builds web and mobile apps that help real aquariophiles to maintain their tanks at their best. Fish Tank Lab offers a FREE system to help real aquariophile maintain their tanks. 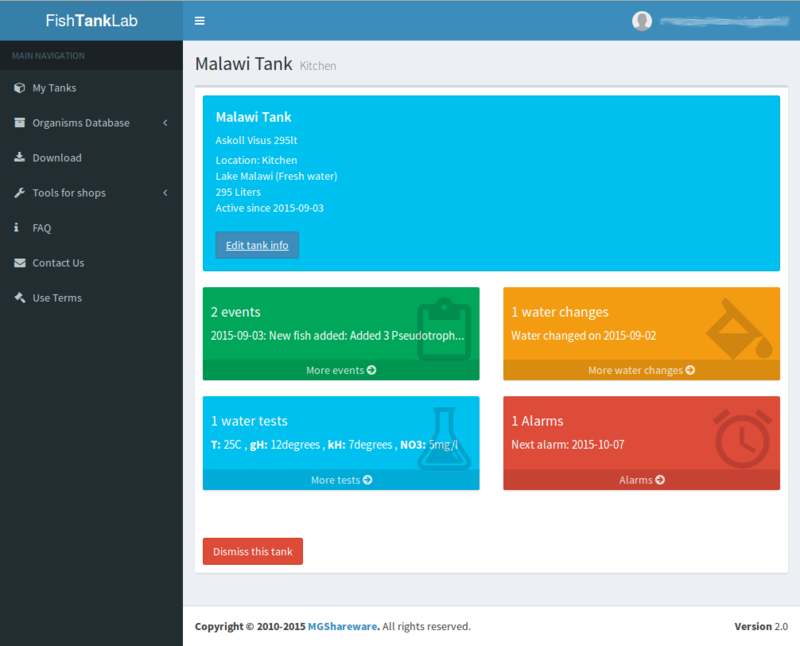 With Fish Tank Lab you can log all aquarium events, like new fish adding, new borns or any other event you like. You can set alarms for event you can't miss, like water changing, filter maintenance, lamp tubes replacing, and so on. 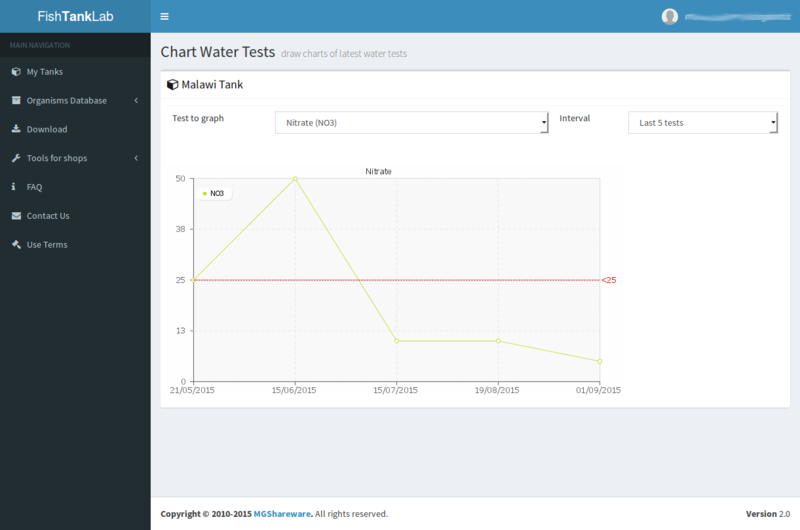 You can record water tests and compare them with reference values. Fish Tank Lab offers a FREE reference database about fish and plants most commonly found in home aquariums. For each organism we collected main biological data and a short description with suggestions about the best way to keep it. The database is freely available here. We also created a set of QRCodes linked to mobile version of the organisms data to allow aquarium stores to offer more info to their customers. We also publish mobile Apps for your smartphone or tablet, you can download here.